This beautiful American built home has 148m2 of wrap around porch to take advantage of the wonderful views, the surrounding green vegetation, and also a beautiful and safe view of theTurrialba Volcano . There are twelve acres of land with coffee, banana, forest, and a large pen/pasture land designed for goats . Located in a quiet farming area, very private, very peaceful and three hours from San Jose, you will find the small farming area of Paso Marcos . You are also one hour outside of Turrialba, 40 minutes from the small town of La Suiza, and one mile from the world famous Pacuare river (see below). To protect the extensive porch area from the rain, overhangs were created around the porch to be wider than the width of the porch. This way the porch stays dry during the rain and the house stays cooler. The water comes from a local aqueduct and was recently tested. 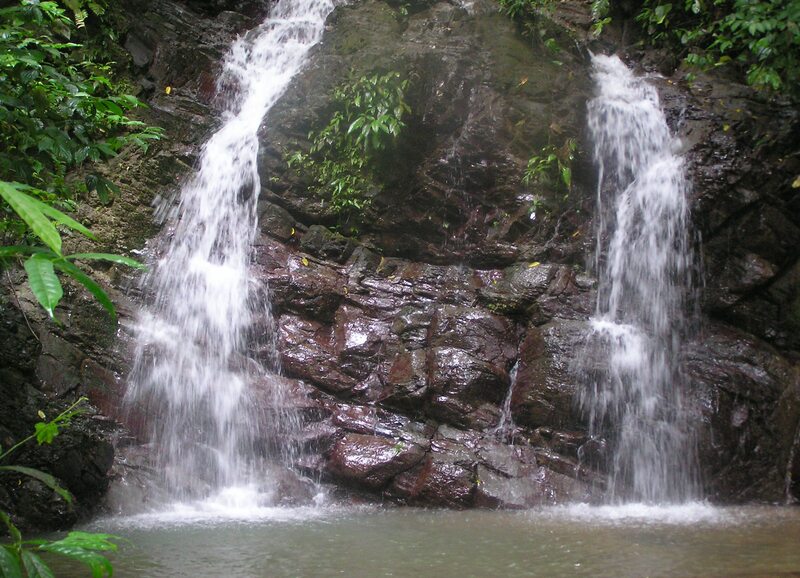 The testers said it's among the best drinking water in Costa Rica. Toucans frequent the property as well as parrots, and a multitude of other beautiful birds. Coffee is sold to a beneficiary and the bananas harvested are sold locally. The Pacuare River, rated one of the top rivers in the world, ,begins on the Atlantic slope in the Talamanca mountain range, runs about 68 miles and empties into the Caribbean. Beautiful scenery is everywhere, and a multitude of wildlife like jaguars, ocelots, monkeys, sloths and hundreds of species of birds make this tropical environment their home. 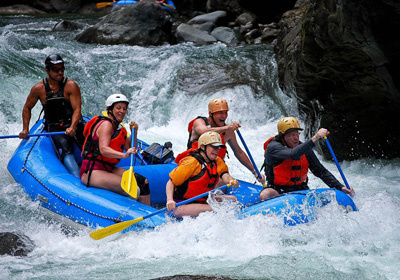 Along the river one will see densely vegetated primary rain forest, lowland tropical forest, towering waterfalls and challenging rapids ranging all the way up to class V. Collectively, these distinguishing qualities, make the Pacuare easilly Costa Rica's premier white water rafting river. And National Geographic called it one of the world's top 10 river trips!